Vrutok - spring of the largest river in Macedonia, Vardar is in the wider Gostivar surroundings. There, at an altitude of 683 meters, from the base of the mountain Shar. Mavrovo - is a valley region in the northwest of the Republic of Macedonia. It is home to Mavrovo National Park and a winter sports center. The region's location at Bistra Mountain and the Lake Mavrovo have helped it grow into a year-round tourist center. Mavrovo is the most popular ski center in Macedonia. Bigorski Monastery - is a Macedonian Ortodox monastery located in the western part of Macedonia, near the road connecting the towns of Debar and Gostivar. The monastery church is dedicated to St. John the Baptist. One of its most valuable treasures is the iconostasis, considered as one of the finest examples of wood-carved iconostases. Duf Waterall - the 28 meters high waterfall is located near the village of Rostusha in Mavrovo National Park, in the western region of the Republic of Macedonia. 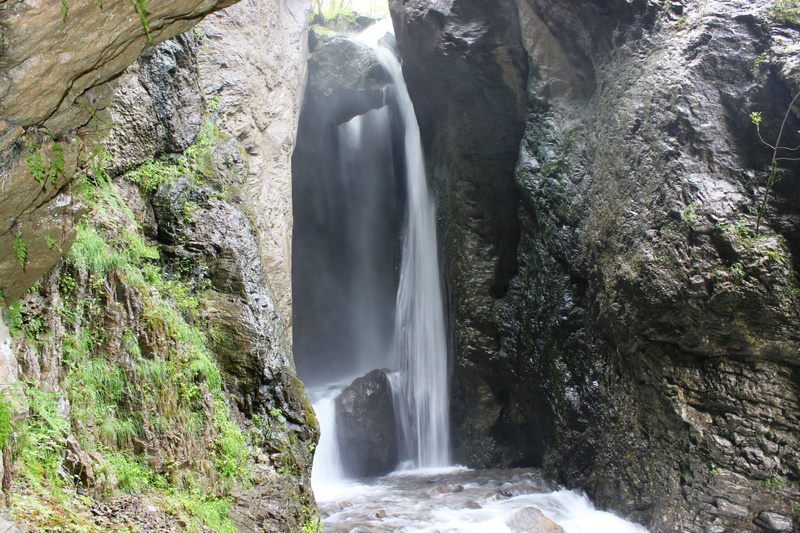 The waterfall is located near the Saint John Bigorski Monastery.